1. 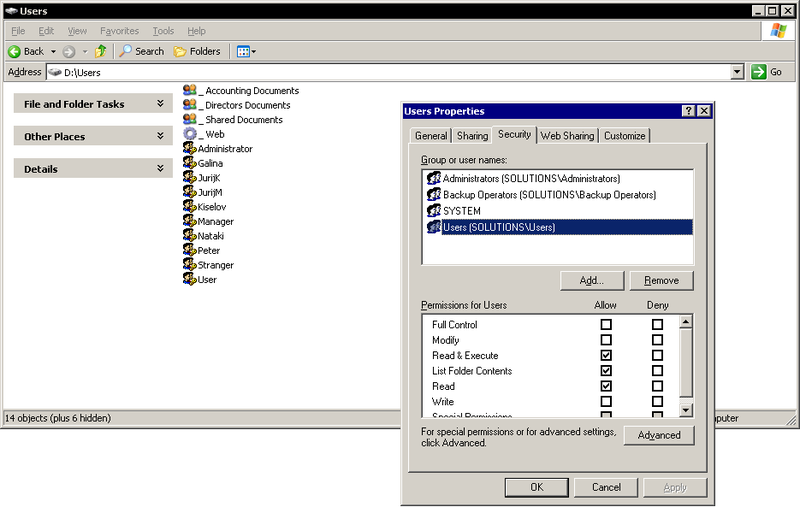 Why should we separate privileges and configure permissions? The separation of privileges is a computer security and antivirus protection fundamental. Usually, all the users log on to the computer with individual accounts that belong to either of two categories: administrative, which are designed to configure and maintain the system; and standard, designed for everyday work. Administrators can do anything they want — install and remove software, update device drivers, infect computer with a virus etc. Standard Users are able to surf Internet, work with documents and e-mail, watch movies. But it is impossible for them to break anything in a system. Time to time something happens that requires us to answer ”who did it?” question. Those occasions are not as frequent, but important ones. A systems administrator is to be ready and prepared to address such issues. At what date and time the incident took place? Which backup should be used to restore the data? Was that an accident or an intentional user action? Or maybe that was some system failure that could happen again?